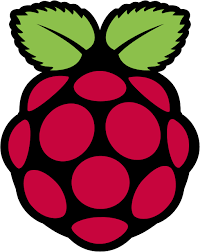 I won’t go into the initial setup of the RPi, but to follow along, I suggest you boot with Raspbian which you can download here. After booting your RPi, you’ll need to make sure that everything is updated to the latest and greatest version. The installation should be quite simple. We will install MySQL 5.5, the MySQL client, and for grins php5-mysql in case you want to do some PHP with a web server (out of scope for this post). Installs will start up again, and this time, you should have a full fledged MySQL database running on your RPi and a means by which to connect to the database from the CLI and via PHP, but we aren’t quite done yet. We need to create a database and a user. In order to do this, we need to log into MySQL. Here is just called my database rpidb. Feel free to be a little more unique that that. 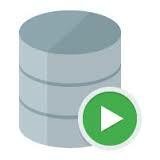 Next create a user for your new database. Now this ain’t secure at all, as I am giving my account full access to everything from everywhere. That’s what the ‘username’@’%’ part does. 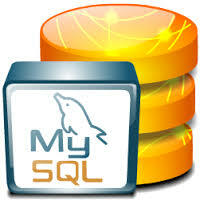 You can read the MySQL docs for more info on securely accessing the database. Finally we need to modify a configuration file. 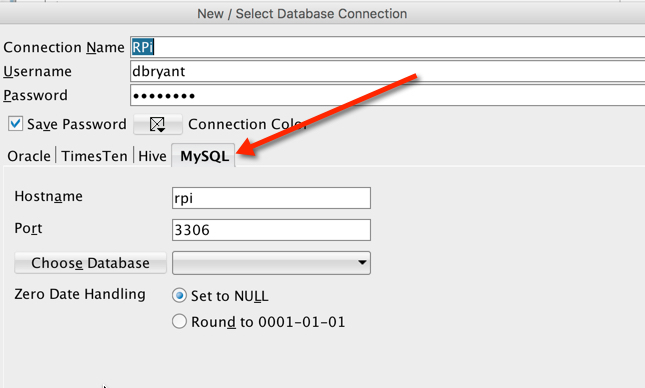 With access confirmed, let’s get off the RPi and get SQL Developer in the mix. 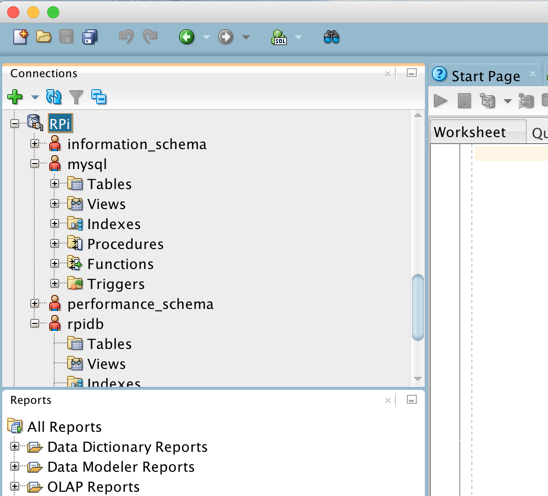 I will assume that you never used SQL Developer to connect to a MySQL database. If you have, you can skip this part. 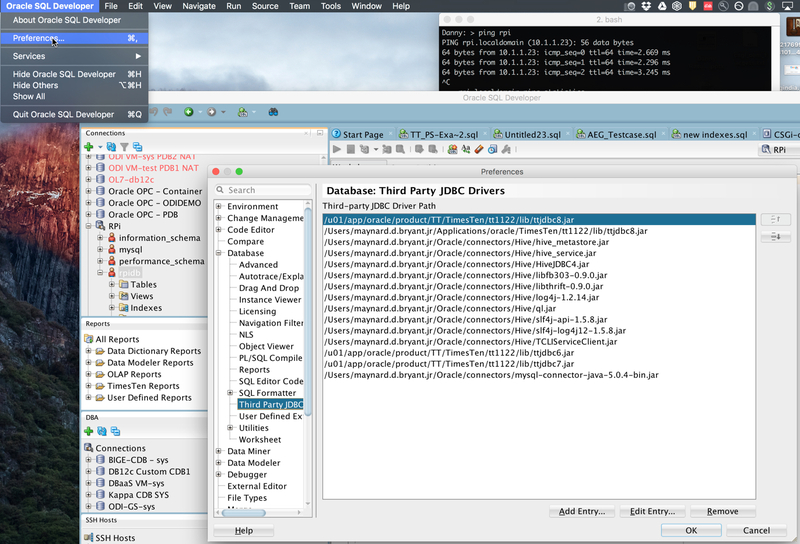 For those of you that haven’t we will need to download the MySQL JDBC drivers which you can find here. Download and unzip the file. I like to put my SQL Developer drivers in a central location, but this is not a requirement. Click the “Add Entry…” button and browse t0 the “mysql-connector-java-5.0.4-bin.jar” file and click the “Select” button. (Note, you may find a newer version of this driver if you use a different link from the one I have provided). Click the “OK” button to add the driver and exit the Preferences dialog. Now go do something fun with this!